Cell C Sharks coach Robert du Preez has sent out a strong message about the potential for development of greater depth in his group by including a clutch of promising, untried youngsters in his squad for the trip to Singapore. The Sharks start their 2019 Vodacom Super Rugby campaign by playing the Japanese team, the Sunwolves, in Singapore on Saturday. Du Preez has called up 25 players, meaning that two of the travelling group will sit out the game. Nonetheless, the inclusion of Phepsi Buthlelezi and Kerron van Vuuren, for what could potentially be their first caps at this level, sends out a positive message about the pipeline of youngsters coming through at the Sharks union. No 8 Buthelezi was a star at age-group level last year and both he and Van Vuuren were part of the Sharks match day squad that lost narrowly to the Emirates Lions in the Super Hero Sunday match in Cape Town. They also featured in the more recent warm-up fixture against the Bulls. Two further players who boast Currie Cup experience but are yet to play Super Rugby are wing/fullback Aphelele Fassi and Kutha Mchunu. Louis Schreuder has recovered from the tick bite fever that kept him from playing against the Bulls in Ballito last weekend and will lead the team in Singapore, with help from Beast Mtawarira. However, Curwin Bosch has been officially ruled out of the tour and game due to the shoulder injury sustained in the Bulls game. Du Preez had intended starting with Bosch at flyhalf in this game as his son Robert, who played all the games in the No 10 jersey in last year’s Super Rugby, has been playing a lot of non-stop rugby after playing club rugby in England in the off-season. “We were intending to manage Robert but now that plan has changed,” explained Du Preez. With Bosch not there Du Preez will start at pivot, with either Lwazi Mvovo or Fassi slotting in at fullback. Rhyno Smith is another fullback option. Centre Marius Louw has joined Bosch on the injured list. Louw started in both the major warm-up games so his absence will probably mean Andre Esterhuizen will pair up with fellow Springbok Lukhanyo Am in the midfield. Du Preez said before his squad departed for Singapore that the youngsters coming through and challenging for places in the group had energised the squad. “All the youngsters are very excited to be part of our Super Rugby challenge and they bring a lot of energy to the group. They are putting pressure on the guys who have been around for a while and that is good,” said the coach. Du Preez reckons that the Sunwolves are a bit of an unknown quantity, but he is expecting a tough match. A welcome returnee to Super Rugby after missing out last year because of injury is tighthead prop Coenie Oosthuizen. He reckons the Sunwolves in Singapore are pretty much the same kettle of fish as his old team, the Cheetahs, used to be on their home ground in Bloemfontein. “This is not an easy game for us, especially not there in Singapore. It’s like playing the Cheetahs - you don’t go to Bloemfontein and win easily,” said Oosthuizen. Apart from Bosch, other regular first-choice players who will be missing from action at the start of the new season are Springboks Jean-Luc du Preez and Thomas du Toit. 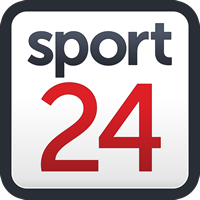 Flank Du Preez, who was injured playing overseas in the off-season, is expected to start playing again in about two months, while Du Toit sustained an injury in the build-up to the Super Hero Sunday fixture. Cell C Sharks squad for Singapore: Akker van der Merwe, Andre Esterhuizen, Aphelele Fassi, Cameron Wright, Coenie Oosthuizen, Daniel du Preez, Gideon Koegelenberg, Hyron Andrews, Jacques Vermeulen, Jeremy Ward, Juan Schoeman, Kerron van Vuuren, Kutha Mchunu, Louis Schreuder (captain), Lukhanyo Am, Lwazi Mvovo, Makazole Mapimpi, Phepsi Buthelezi, Rhyno Smith, Robert du Preez, Ruan Botha, Sbu Nkosi, Beast Mtawarira, Tyler Paul, Wian Vosloo.